A blog and The Life In Between : Tips for planning a destination wedding. Found a venue, now what? 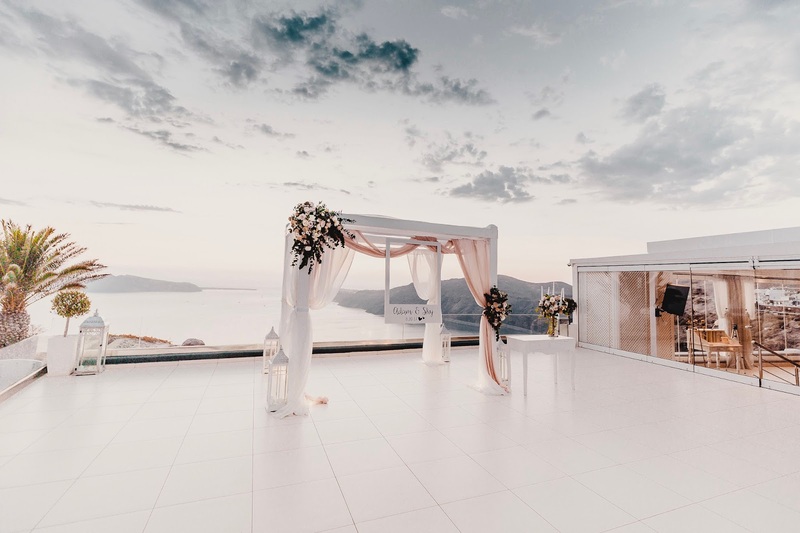 If you have decided to have a destination wedding, picking a location will be a very important part of your wedding as that will determine a variety of different things. 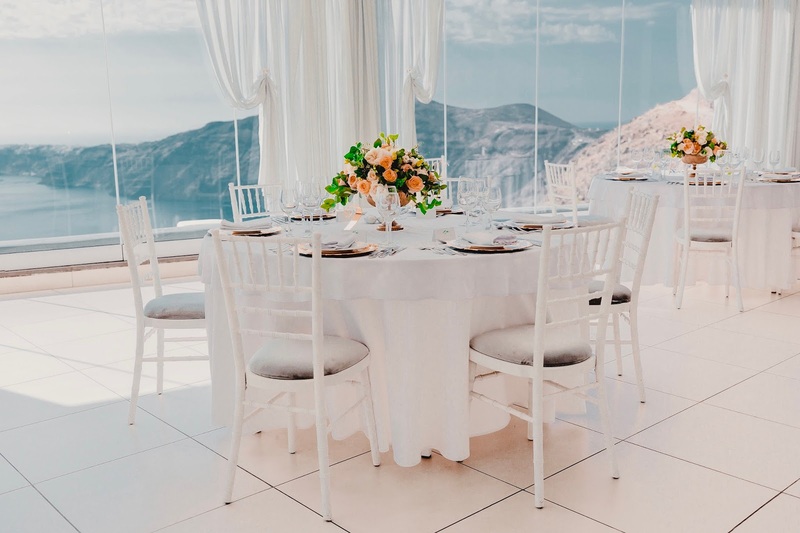 By planning a destination wedding you must be aware that you will have to entertain your guests most of the time, many of guests will not be able to go as it will be far and most importantly you will have to plan an activity to make sure guests get to know each other prior to the wedding so that it turns into a fun vacation/wedding for all. Pick a place that isn't just a pretty place but also has activities and is somewhere relaxing where guests could actually go to and want to stay for at least few days. 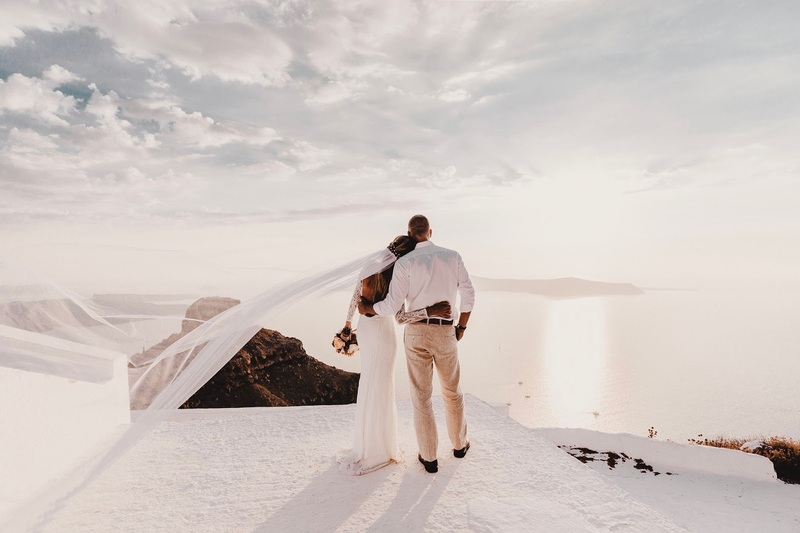 We chose Greece because they have the most romantic sunset in the world, it's a great place for a vacation no matter what you like, everything is white and blue (my fave colors!) and most importantly it's far enough to where only those people that want to be a part of your big day will come to. Found a destination, now what? Venue. Visit the venue at least once before. I've heard of many couples booking the venue in a city they've never gone to with wedding planners they've never met. It's extremely important to know the layout of the venue, distance between your hotel + venue. Hotel. 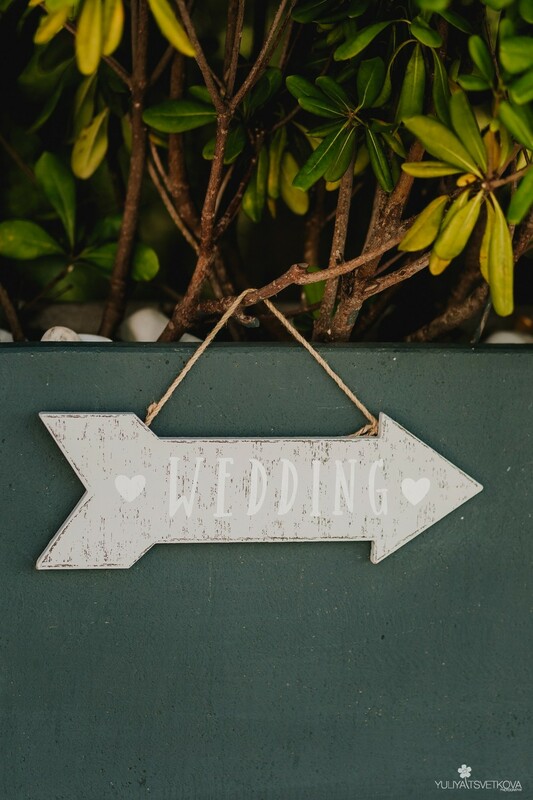 Make sure to book a hotel that's preferably walking distance from the wedding venue as it will avoid many things that could go wrong, such as you forgetting something and having to go back, traffic or car itself being late. Also, who wants to be stranded in a car before? Guests. Pick 3-5 hotels at different price points for your guests next to your venue. It will be easier to keep track of who's where and you'll be 100% sure everyone will know where the venue is as most likely it will be walking distance, they also won't be late as they'll be familiar with the area beforehand. Activities. 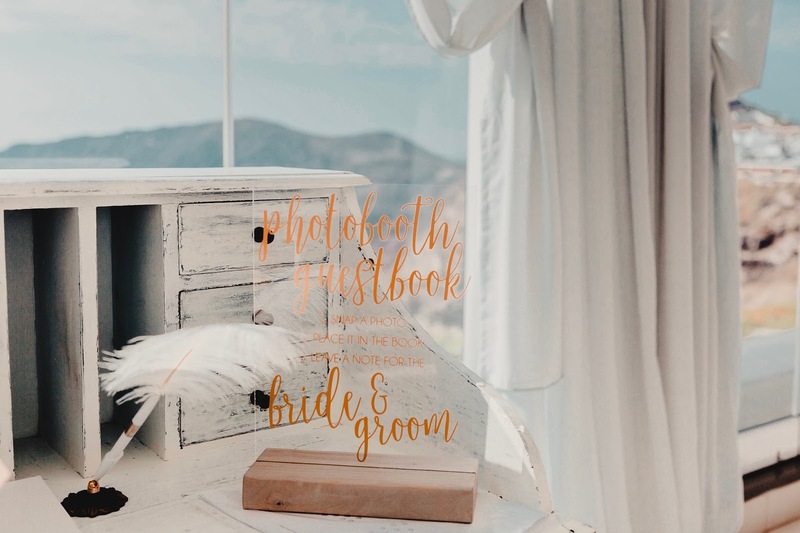 If you're having a destination wedding, most likely they're all paying for their own flights, hotels and are putting breaks on their lives to take a week off and come support you on your big day. Make sure to plan at least one activity for all. Date of the activity is just as important as the activity itself. 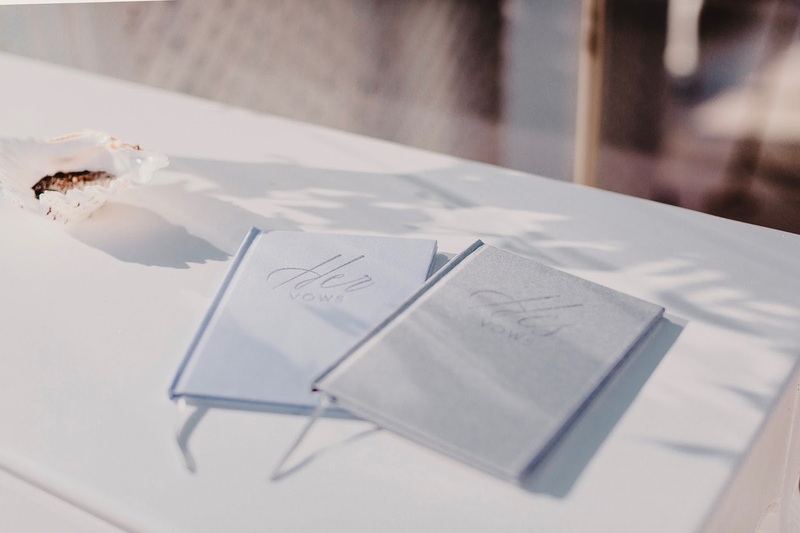 You want to make sure it's an activity guests will not want to miss, picking an activity two days before the wedding is ideal. That way you know that all the guests have made it to the destination and there will be no incidents on delayed flights the day of the wedding etc. Wedding props. Take advantage of the fact that you can bring some things with you. We checked in quite a few luggages filled with 2 floaties for boat day, table numbers, parasols, napkins etc. for the wedding day. You'll save money and sort of have an idea of what decor will look like the day of. RSVP's. 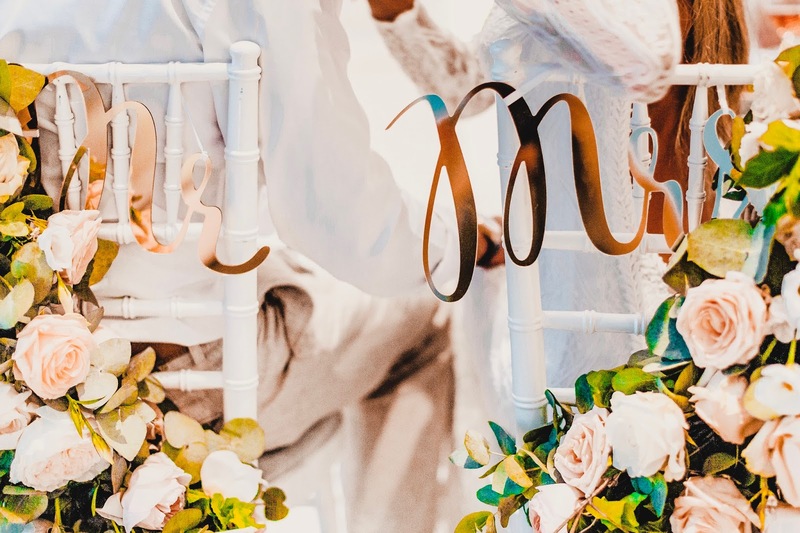 Do not tell the wedding venue the exact number of guests until the last day you have. Create a spreadsheet for yourself and keep track of who's booked their flights and who still hasn't booked a hotel. Hotels are usually non refundable so those that have booked flights and hotels are usually 100% in, while those who have not yet booked one out of the two are still deciding but most likely don't want to tell you just yet. Group chat. The best ice breaker for a destination wedding is creating a group chat on whataspp. Texts lots of times do not go through outside country nor will you have energy or time to text every one of them same thing over and over. Group chat will give them a chance to introduce themselves, most likely they'll be on same flights and you'll only have to send itinerary once. Seating. If your venue is quite large and you're having up to 30/35 people, ask what's the best way to seat everyone! You can either do a few long tables or regular size round tables and just have 5-6 guests per table. Post-wedding brunch. Yes, you've already paid for an activity for all but post-wedding brunch is just as important. You want to make sure you show how thankful you are that all the guests have traveled the across the world for you so why not chat about the good times from the night before at the brunch? Wedding night. Staying at the hotel next to the venue is great but it's extremely important to stay at a further hotel for the night of the wedding. That way you're ensured no one crashes at your hotel on the night of your wedding as it's extremely close to the wedding. Wedding guests. The less, the better - trust me. 30 is a magic number to where you can have an amazing time and chat with every one of them. We invited 50 and had 27 show up as 3 dropped out the week off. All things sentimental. I do not get attached to things easily which has made it extremely easy to leave almost everything behind in Greece. Only things we took back from the wedding were the flowers for the post-wedding brunch and the guest book. We even got luggage that we could leave behind and just throw it out once the wedding week was over, which by the way is a great idea as you do have to pay for any additional luggage when flying with local airlines no matter where you go. What place did you have your ceremony at?